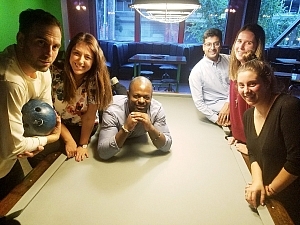 Bowling provides a fantastic opportunity to socialize with your team AND an chance to make new connections across the lane. Ashwath naturally embraces the Underdog spirit and is always bonding with his opponents! Fist bumps, smiles, and laughs - keep those coming!